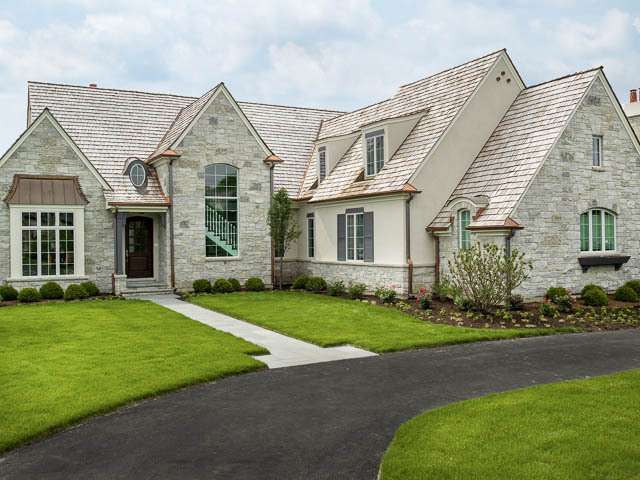 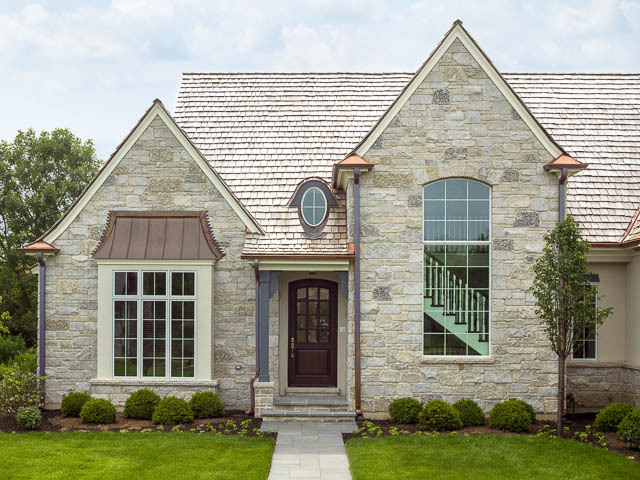 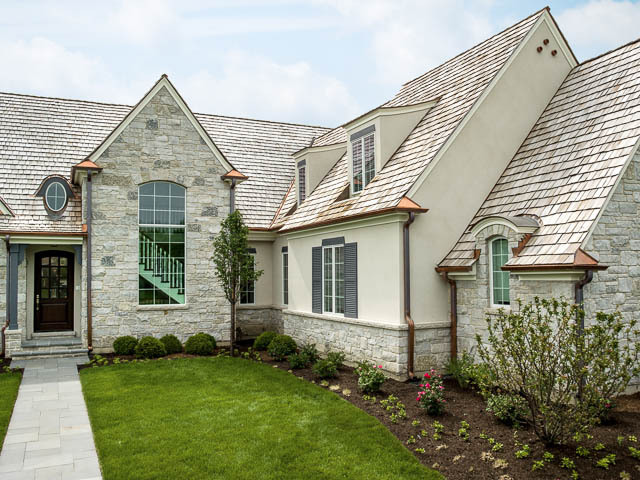 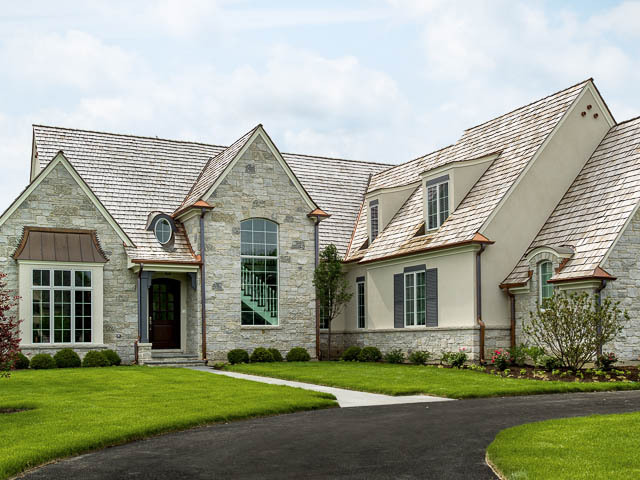 This custom home was built in Middle Fork Farm in Lake Forest, IL. 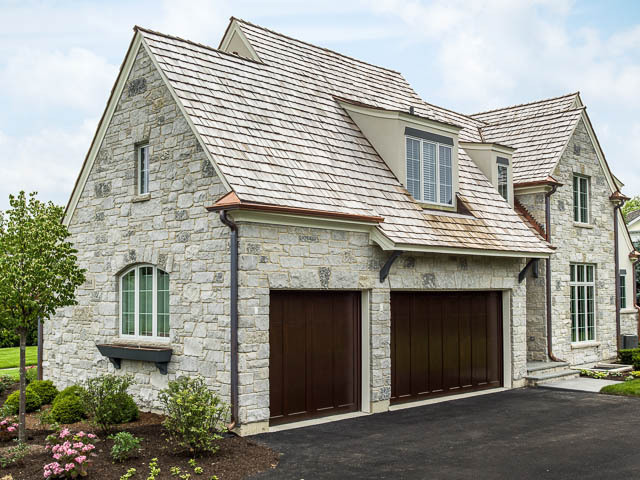 The exterior of the home is stone with stucco accents, cedar roof, and copper gutters. 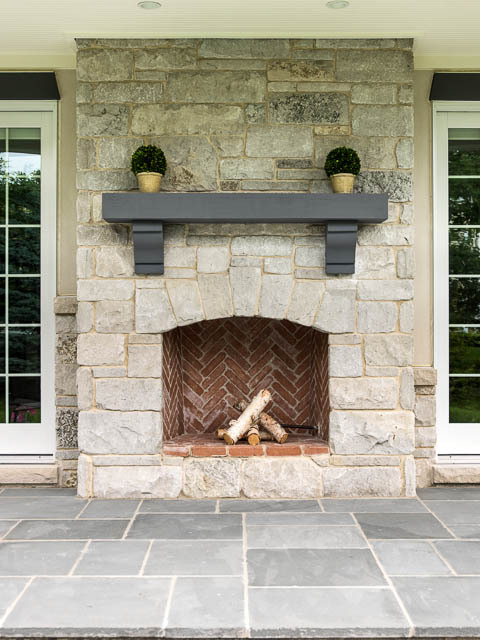 The spacious back patio has a bluestone floor and features an exterior fireplace. 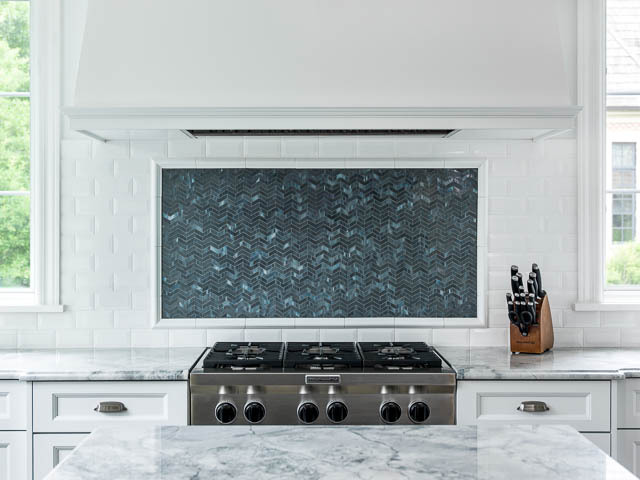 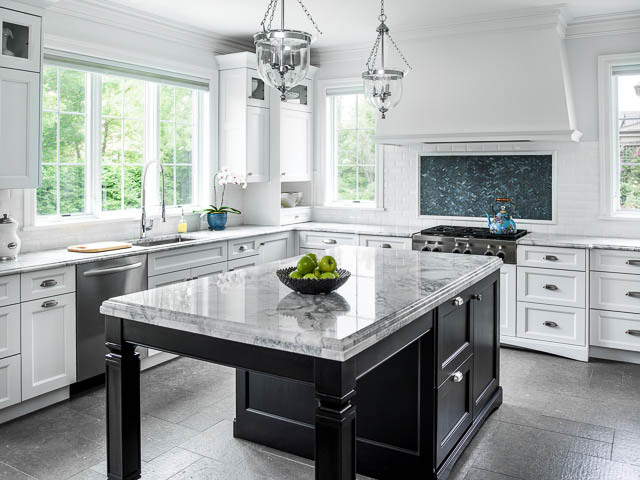 The kitchen is a contrast between light and dark with white custom cabinetry and stainless steel appliances. 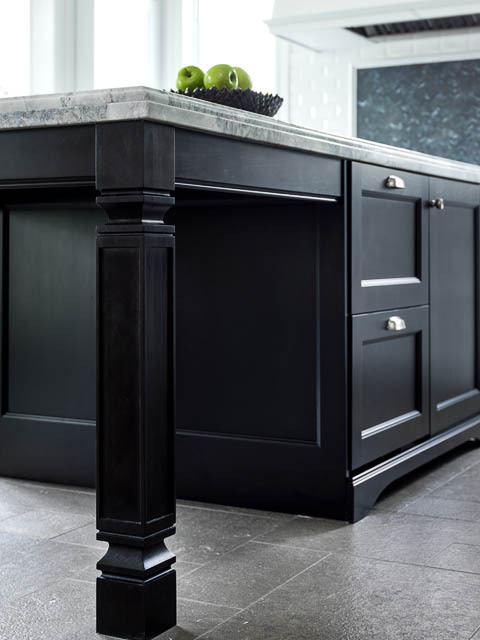 The kitchen island was done in dark cabinetry and a thick stone slab. 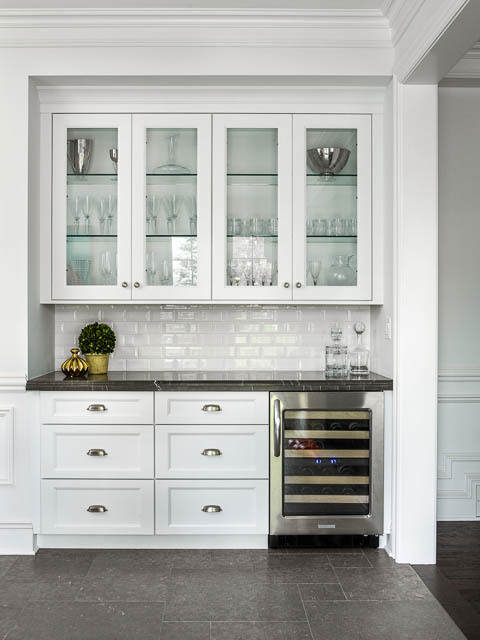 The butler pantry includes a bar with wine cooler and glass upper cabinets for stemware. 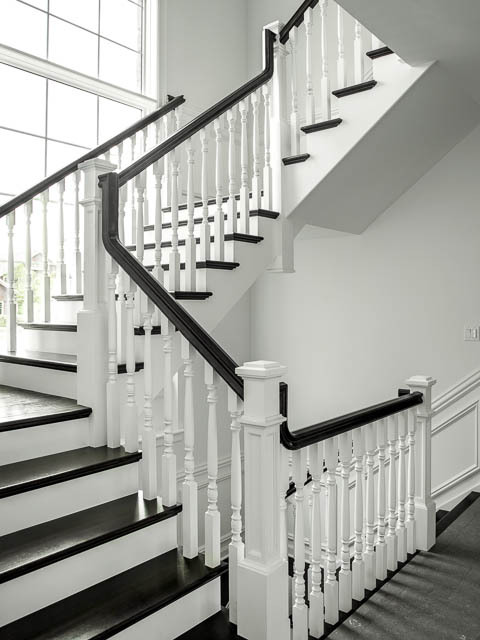 The main staircase carries this same light and dark theme with dark handrail and floor while the risers and ballusters are painted white. 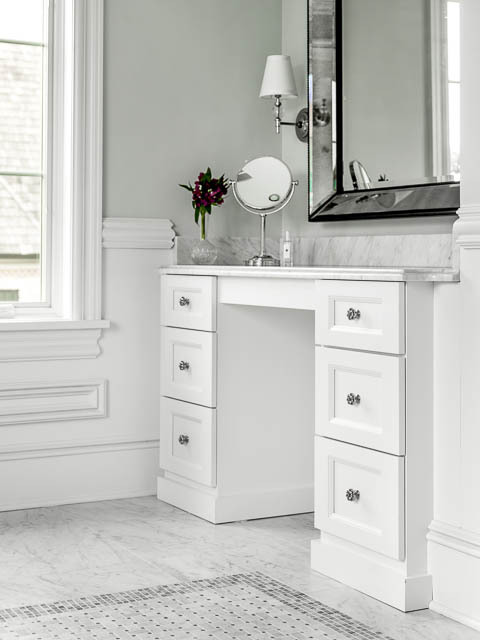 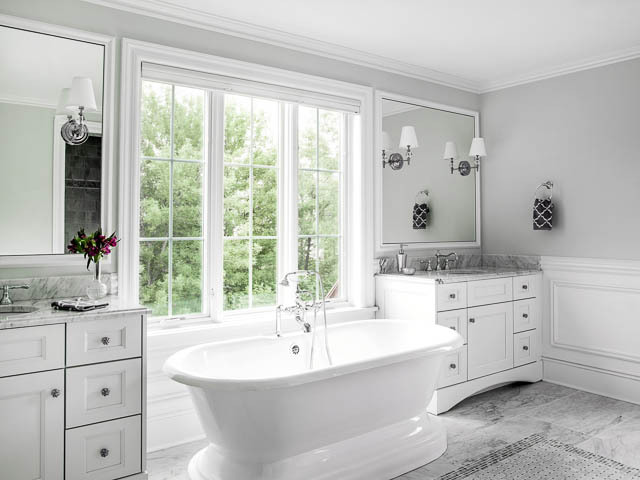 The luxurious master bath includes a beautiful freestanding tub and large glass enclosed shower. 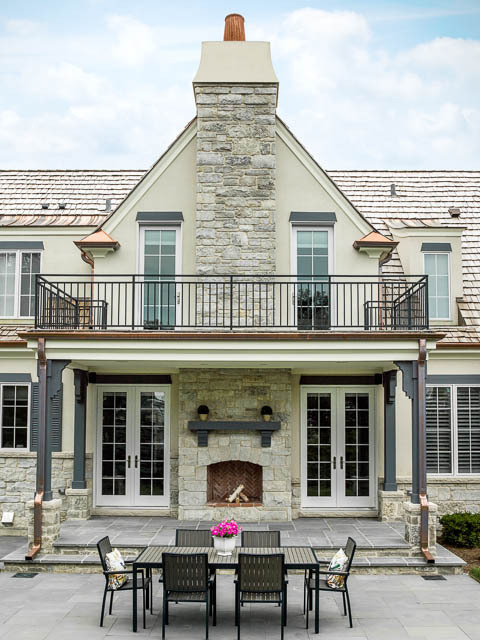 The master bedroom features a walk out patio with creates the roof for part of the patio.